The emotional toll, physical pain and financial burdens of personal injury are suffered by people, not case numbers. That is why our firm believes in providing genuine service and dedicated representation for those going through turbulent times. At Lampert & Walsh, nothing is more important to us than providing top quality legal services for anyone injured by the negligence of another person or entity. Our Denver personal injury lawyer team has focused on civil litigation on behalf of accident victims for over 15 years. Lampert & Walsh is measured by both peers and clients to be one of the top personal injury and accident law firms in Denver and Aurora. We limit our practice to focus on injured plaintiffs who need legal help; we never represent the insurance company. Even better, we work on a contingency fee basis and initial consultations are always free. This means that our attorneys can let you know what options are available to you for recovery at no cost to you. We also do not get paid unless you recover compensation for your injuries. Our attorneys do not believe in high pressure tactics and want our clients to feel comfortable with our lawyers and the services they provide. Over a period of up to 18 months, the poor sterilization of medical equipment may have exposed thousands of patients to infections and bloodborne pathogens. These include serious infectious diseases like HIV, and Hepatitis B and C. If you received notice that you might be at-risk or if you suspect that your current medical condition may have resulted from negligence at Porter Adventist Hospital, then contact a Denver personal injury lawyer at Lampert & Walsh today. We defend injury claims of all kinds including those involving: car accidents, legal and medical malpractice claims, uninsured motorist claims, slip and fall cases, and general negligence. Call us at 720-489-5848 or contact us through our website to find out what we can do for you. 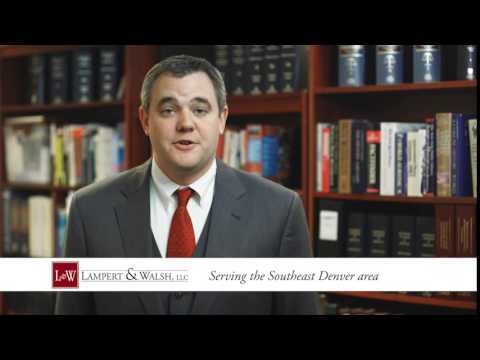 Located in Colorado, Lampert & Walsh is a personal injury law firm that cares about clients. Whether you are a victim from a car accident, injury or medical malpractice, we pride ourselves on being by your side during a life altering experience. After an accident, people are often confused by the legal process and need both answers to their questions and solid results. It is important for our clients to get the best medical attention and the best legal results available. We can provide guidance on both of these issues during a free consultation. At Lampert & Walsh, you can rest assured that you are in the best hands. We are a small firm of Denver personal injury lawyers; we strive to give our clients the personalized attention they deserve as we work to protect your interests. Let us focus on battling the insurance company so you can focus on getting healthy. Each Denver personal injury lawyer at Lampert & Walsh have been in business for over 25 years. One of our experienced trial attorneys can help you fight for your right to compensation for your losses. We will never force you to accept a settlement that does not fairly compensate you. Call 720-489-5848 or contact us online to schedule a consultation.